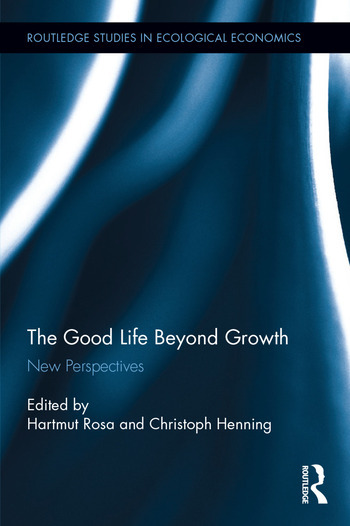 This book argues that a good life beyond growth is not only possible, but highly desirable. It conceptualizes "the good life" as a fulfilled life that is embedded in social relations and at peace with nature, independent of a mounting availability of resources. In bringing together experts from different fields, this book opens an interdisciplinary discussion that has often been restricted to separate disciplines. Philosophers, sociologists, economists and activists come together to discuss the political and social conditions of a good life in societies which no longer rely on economic growth and no longer call for an ever expanding circle of extraction, consumption, pollution, waste, conflict, and psychological burnout. 14 Is Love still a Part of the Good Life? Hartmut Rosa is Professor of Sociology at the University of Jena, Co-director of the Kolleg Postwachstumsgesellschaften in Jena (with Klaus Dörre) and Director of the Max Weber Centre for Advanced Cultural and Social Studies at the University of Erfurt. Christoph Henning is Junior Fellow for Philosophy at the Max-Weber-Kolleg for advanced Cultural and Social Studies, University of Erfurt, Germany.